Imagine traveling the way wine enthusiasts travel to Napa Valley, or how Cave lovers tour the caves of Spain to taste their favorite bubbles. Well, that’s how cannabis enthusiasts have helped to open up a whole new industry of tourism for their flower of choice. The Colorado Green Rush has been a major pull for those who want to take a vacation where they can puff their way through this picturesque state. Here are our 4 Things to Plan on Your Weedkend Tour of Denver. Euflora is a recreational cannabis dispensary located on the 16th St pedestrian mall—a beautiful spot beloved by residents and tourists alike. Specifically, you will find Euflora at the corner of 16th and Tremont. There, they welcome Colorado residents and out-of-state visitors with open arms (as long as they over the age of 21) into their interactive and friendly store. They carry edibles, drinks, tinctures, and flowers of all kind—it’s like the Apple store for cannabis enthusiasts. When you go home, people will ask if you stopped at Euflora; make sure you can say yes. DANK’s mission is to make medical and recreational cannabis available in a safe and friendly manner. They strive to educate new marijuana users by introducing them to a naturally grown supply of consciously cultivated flower. Stop in and pick the brains of their budtenders and then pick up some of their popular Cheeba Chews (indica, sativa, or hybrid). You’ll need them for your next stop. Taking a weed vacation is an amazing way to travel, but it’s super common for Colorado tourists to become overzealous (and over-indulgent) and get in trouble with the law. Remember, weed is legal here, but it’s not the wild-wild-West. Here’s a quick primer to keep you on the right side of the law. Don’t over-buy. You may purchase an ounce at a time, which is more than you need for a romantic weekend for two. But no judgments here—just suggestion that if you buy a little at a time, you can always try a new dispensary, or new product when you do re-up. Do be as discreet as you would be when smoking at home. There aren’t many legal places to smoke in public here, and not every citizen wishes to walk into your vape cloud as they walk behind you down the street. Don’t try to tip anyone—your waiter, Uber driver, guide, or bellboy–with weed. It’s not currency, and you could get the person so deserving of your gratuity in trouble with their employer. Are you planning a Colorado-bound trip to America’s holy grail of ganja? What are the stops you have planned? 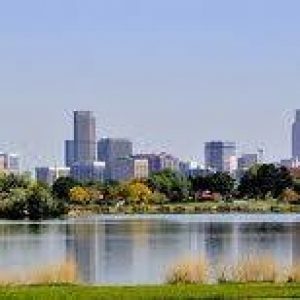 Thanks for reading 4 Things to Plan on Your Weedkend Tour of Denver.